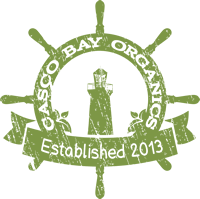 Casco Bay Organics offers South Portland Organic Home Delivery. Orders can be weekly or bi-weekly and the menus change all the time. Based on what's seasonal and local we bring delicious organic food right to your doorstep! Your Number One Spot For Maine Organic Produce!